Specially developed by using high quality corundum grains to achieve aggressive stock removal and durability. Improves grinding time and reduce operator fatigue. 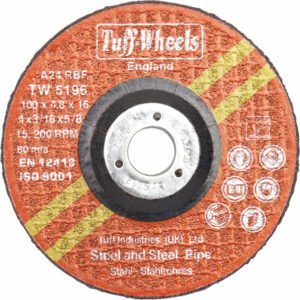 For surface or edge grinding, removing welds and deburring.